While the end of the year means holidays filled with celebration and family, it also means focusing on year end budgets and hitting targets. Holiday debt is created by overindulgence, which can be more troublesome when the debtor already owes a substantial amount of money. Often times in the spirit of the holidays, debts are pushed aside by either the debtor, the creditor, or the judgment holder. When people owe monies, such as debts, judgments, or even child support and spousal support, they tend to put things on the back burner in the name of the holidays. While we at Accounts Retrievable understand this phenomenon, we also understand how challenging this can be for a business or an individual that is owed money. 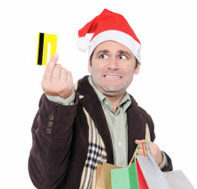 Throughout the years, the holidays are notorious for being troublesome months for collecting debts. People will simply not pay what they owe because they will buy presents and celebrate by creating holiday debt regardless of how much they owe to others. It is possible to be in the holiday spirit and be empathetic to a debtor’s situation while also being firm in collections efforts. Sometimes people get caught up paying for things they need in the immediate moment and are so focused on the many lists of things that need to be done and simply forget they are in debt to anyone. The goal of any business owner or individual is to not end up with an increasing number of receivables in January after the buying season has slowed down. People are starting to pay off their holiday debts come January and leave their existing debts for a later date. It is important as a business owner or a debt collections agency to still be active in the collections process while being understanding of the time of year. The most important tool you can use is to stay organized and keep on top of your receivables. Your debtors are likely to be unorganized this time of year so it is important that you maintain the organization needed to collect your money responsibly.